MYRTLE BEACH, S.C. (WBTW) – Like many of her classmates, Myrtle Beach High School senior Ravian Ellis is starting to think about her academic future. Ellis plans to be the first member of her family to continue her education after high school. 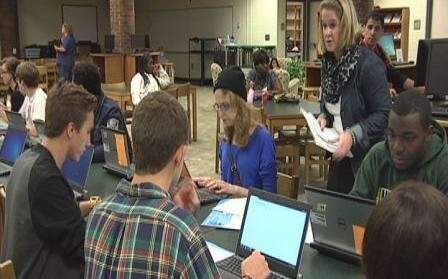 She went to the College Application Month kickoff event Tuesday night at Myrtle Beach High School to learn more about her options, and apply to several in state colleges free of charge.